Talking about server side security will come down to firewall or filter connections from and to your server. Close unnecessary ports, block unwanted connection and blacklist spammers are the things that your server admin should do in their everyday life. If you pay attention to your server log, you will found that lot of malicious request and brute force bot attack to find your server vulnerabilities. You should block it with firewall. 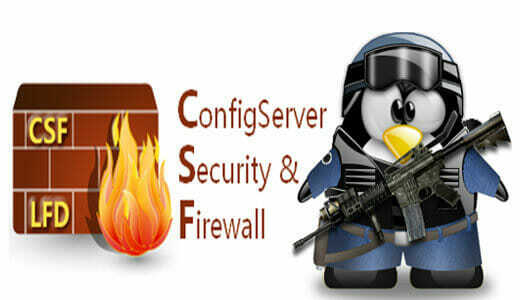 One of the good and free Firewall module is ConfigServer Security and Firewall. It have compatibility with most known Linux server and integration with WHM/Cpanel. Daemon process that checks for login authentication failures. The CSF will available under your WHM menu > Plugins > ConfigServer Security&Firewall. As soon as you go to CSF page, check your server security and increase your security point based on what the wizard says. After that configure your Firewall level, i will go to Medium to high setting. And turn on your CSF from Firewall Configuration and set “TESTING” to 0.